We offer Segment 1, Segment 2, Private Driving Lessons, Road Test and Motorcycle Testing. We deliver the most comprehensive drivers ed training using our proprietary curriculum, best-in-class instructors, and state-of-the-art training vehicles. Get started now! Join this enriching second half of driver education. 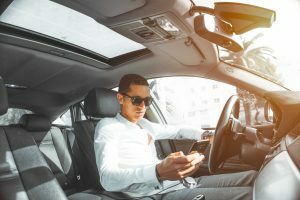 Learn to identify hazards and practice techniques to help your teen be a safer driver on the road. Choose from multiple classroom locations and learn from our best-in-class instructors. Take your driving test and obtain a Level 2 provisional license with our State approved road testers. Choose from one of our 5 select state approved road testing locations for your road skills test. What is the cancellation/refund policy for the Segment 1 course? As stated in the contract: ALL refund requests for all services offered are charged a $5 processing fee. No refunds will be given after the first day of class. Refunds will be processed in full if a class/service is canceled by ASDE. Refunds can take 7-10 business days, and will put back on to the card you paid with. No refund will be issued if the student is expelled due to disciplinary reasons. To learn more about our discipline policy, please see the question below in our FAQ’s or contact our Corporate Office. There will be a $30 return check fee for all returned checks! A Segment one class consists in 24 hours of classroom, 6 hours of behind the wheel, and 4 hours of observation. This is the first step a student under the age of 18 will need to take in order to obtain their license. Your student will also need to complete a segment two course and road test to obtain their license. We do offer silver and gold packages, which offer the same classroom and observation time. Silver packages offers 8 hours behind the wheel and gold offers 10 hours behind the wheel. This is optional as the bronze package provides the state requirements for driver’s education. If you are 18 or older and looking to take this course you can. However please keep in mind you will not get a completion certificate as this course is not required by the state, we can always provide a letter of completion. Also to begin drives you must have your permit from the SOS. How long does it take to obtain a driver’s license? We accept Visa, MasterCard and Discover. If you need to make other payment arrangements, feel free to call our corporate office to make arrangements. We also accept payment from government organizations as well. If you do not have one of those cards available to you, we also accept pre-paid Visa, Discover, and MasterCard’s. Do you have any payment plans available? Half payment of the entire class price must be done at the time of registration to hold your spot in class. The remaining balance will be due on or before the first day of class. A one-time fee of $10 is added to any account that is not paid in full by the first day of class. Any remaining balance past the last posted class date results in a one-time fee of $40 (on top of the $10), which will be added to the remaining balance. If the other half of your balance is not paid by the end of class, we will withhold the Segment One Completion Certificate until payment has been made. Drive times can be postponed due to non-payment as well. As stated in your contract: ALL refund requests for all services offered are charged a $5 processing fee. No refunds will be given after the first day of class. NOTE: If your card used for payment has been replaced, lost, or stolen you will need to let us know at the time of requesting your refund. We CANNOT send a refund to someone other than the person who made the payment. Do parents need to attend the first day of class? It is not necessary for parents to be there on the first day of class with their students as long as the students bring the required paperwork. We do hold an informational parent meeting on the last day of class. For details, please talk with the classroom instructor. What is covered in the cost for Segment One? The cost for segment one covers your student’s classroom time, driving, taxes, activities, book, and gas. The cost for segment two is not included unless you select the option to combo both segments at the time of registration for a discount. How do the students sign up for driving times? When do the students drive? Students will be signing up for drive times during the first week of class. These drive times are scheduled outside of the posted class dates and times, and can take up to 3 weeks after the class if over to complete. Generally your student will be paired with another student in class, the 4 hours of observation are completed with the 6 hours behind the wheel. All Star wishes to accommodate families and busy schedules by offering a wide variety of drive times, including before and after class and on weekends. All Star does not assign drive times, we allow the students to schedule their own drive times according to when they are able to drive. Please keep proper documentation of these so you can arrive on time. Any changes needed to be made, please contact the classroom instructor. NOTE: Parents and Guardians! Please make sure that you let your children know what days and times work for you before the first class ­ they must be able to accurately sign up for driving times that fit your schedule as well as theirs. As mentioned before, the students will have the first three days of class to make any changes necessary to their driving schedules, based on any scheduling problems that you foresee. What happens if a student misses a class? All Star does allow a student to make up a maximum of three missed classes. If your student misses more than three days of class, they MUST complete the classroom portion of Segment One over again. You will not be asked to re-pay. The exact classes missed will have to be made up in another segment 1 session, before your student will get their certificate. Please speak with the classroom instructor on the first day of class if you believe that your student may be missing a class during their Segment 1 session, and the classroom instructor will explain to you and the student on how the days missed will be made up. Classes are able to be made up after the original class has ended. There are no exceptions to this rule. What if there is a snow day? If your school district has announced a snow day, All Star’s classes (which include driving times) at the respective location will be cancelled as well. Please keep this in mind if you are attending a classroom location other than your own school, or a community location. If the students driving instructor decides that the road conditions are good enough to drive in later that day, they might be calling you to let you know drives will still take place as scheduled. Please make sure all contact information has been updated with your instructors if you have changes. What kind of cars do you use? We use late model, low mileage, 5 star safety rated vehicles. Each has right-side brake pedals, giving instructors complete control. Each is cleaned and sanitized regularly and comes with a hand sanitizer and first-aid kit. All undergo constant and detailed inspections by our operations department. Is my son/daughter allowed to drive out of the State of Michigan with their Graduated Level One License? Help! I’ve lost my Segment One certificate! What can I do? Reissues of certificates can be issued for a $30 fee. All Star may reissue the certificate to you if you have lost either the Segment One or Segment Two certificate as long as you took the respective Segment from All Star. We cannot reissue certificates for you if you attended another driver education school. Please contact the office immediately to have this reissued. It takes 2 business days to reissue a certificate, so please be sure to allow enough time if you need this by a specific day. When contacting the office, be sure to have your full name, date of birth and Segment location as well as the date that you completed the specific segment. Photocopies of certificates are not kept on file, and are not accepted at the Secretary of State’s office or road testing agencies. We do not fax copies to other driver education schools for road testing purposes, either. Please contact the office for more information. NOTE: If you already have your Graduated Level 1 License (permit), you will not need to have a reissue of your segment 1 certificate. How old does the student have to be in order to enroll in a Segment One course? Students must be at least 14 years and 8 months old by the first day of class in order to attend. No exceptions may be made with this rule since it is regulated by the Michigan Dept. of State. How many students do you allow in one class? The State laws prohibit us from having more than 36 students attending one class, therefore we must limit our enrollment to 36 students – no exceptions may be made. I do not have an original birth certificate. State documents verifying your age are also appropriate. Examples: passport, state identification card, etc. How many drive times do the students need? Why can’t the parent’s sign up for the student’s drive times? This is a good question and there are a number of reasons All Star wishes for the student’s to sign up for their own drive times. The foremost reason concerns the responsibility: the All Star staff and instructors believe that we aren’t just teaching the students how to drive, but educating them on all of the responsibilities that are involved with operating a motor vehicle. Therefore, part of this responsibility includes scheduling and keeping accurate record of their drive times and communicating this schedule to their parents or guardians. Also, based on the way we have students sign up for driving times, we only have enough space in the classroom for the students and the instructor. Unfortunately, having the parents and guardians in the classroom as well as the students and instructor would be very chaotic and disruptive to your students learning, since the driving times are scheduled during class. We hope you can understand. Any clarification on this can be discussed by calling our corporate office. We want to make sure everyone is accommodated appropriately. I am over 18 years old. Can I still take Segment One? Yes, of course you can! However it is crucial that you first obtain a Temporary Instruction Permit from your local Secretary of State Branch Office. This document will allow you to participate in the driving portion of this class. Your permit will cost $25 and requires that you pass a written exam. You must bring a photocopy of your valid TIP to your first day of class, along with your completed Michigan Adult Segment One Contract found under our Forms link on the home page of our website. If you wish to postpone obtaining your TIP, you will only be allowed to complete the classroom portion of Segment 1. The green certificate that my student received after Segment One, what does that mean? Is that their Graduated Level One License? NO! This is the Michigan Graduated Segment One Certificate of Completion – this is NOT a permit and does not allow your son or daughter to drive with an adult or guardian. This document simply verifies that your student has successfully completed the Segment One program through our school and may now apply for their Graduated Level One License through the Secretary of State (a.k.a driving permit). They are only qualified to drive once they have gone to the Secretary of State, and have been issued their permit. Student and parent must be present to obtain this permit. What do we bring with us to the Secretary of State when we go to get my son/daughter’s permit? Who is my student allowed to drive with when they receive their Graduated Level One License (a.k.a. permit)? A licensed adult driver, 21 years of age or older. What about the Graduated Level One License (a.k.a. permit)? Does that expire as well? There is an expiration date on the Graduated Level One – it should be the student’s 18th birthday. This is the day that the permit expires and you have until that date to take a road test. All Star may reissue the certificate to you if you have lost either the Segment One or Segment Two certificate as long as you took the respective Segment from All Star. We cannot reissue certificates for you, if you attended another driver education school. Reissues of certificates are a $30 fee. Please contact the office immediately to have this reissued. It takes 2 business days to reissue a certificate, so please be sure to allow enough time if you need this by a specific day. When contacting the office, be sure to have your full name, date of birth and Segment location as well as the date that you completed the specific segment. I received my Segment One completion certificate but my name is spelled wrong/the birthdate is wrong. No problem. Please call our corporate office at: 734-665-7374 and we can reissue a new one to you. Certificates are mailed to your home address. Please allow up to 7 business days for the new certificate to arrive. What are the requirements for obtaining an original Driver’s License or personal identification card? What is the ASDE Discipline Policy? Any student violating the rules and regulations as contained in this policy will be subject to appropriate disciplinary action and possible expulsion from the class. No refunds are granted due to disciplinary action that prevents a student from completing an All Star Driver Education course. Teasing, insulting, name calling, mean or rude gestures toward peers, instructors or employees, spreading rumors or behavior that would hurt other’s feelings, swearing, taunting, ridiculing, humiliating, threatening, pushing, shoving, grabbing, spitting , sexual, ethnic, or harassment, stealing or extortion, fighting, kicking, punching, gang related gestures, assault, cheating, forgery, using cell phones during instruction, destruction of property belonging to All Star Driver Education or the facility in which classes are being held. Abuse of fire alarms, safety equipment, bomb threats, lighting of fires or burning or attempting to burn any property belonging to the All Star Driver Education or the facility in which classes are being held or property belonging to persons employed by All Star Driver Education or attending the course, or the employees of the facility in which classes are being held. Possession, use of, or threatening to use dangerous weapons such as, but not limited to: fire arms, knives, iron bar, or brass knuckles. Possession, use or threatening the use of any weapon or dangerous object capable of inflicting bodily harm including but not limited to: chains, knives, fireworks, explosives, smoke bombs, and toy weapons resembling any of the above. When should I pay? Is there a deposit required? All services must be paid in full at the time of registration. If you have already paid for segment 2 when you signed up for segment 1 as a combo, please call our office, and representative can get you signed up. What is the cancellation/refund policy for the Segment 2 course? Do students drive in Segment Two? Students are not required to take any behind the wheel with segment 2, however we do offer silver and gold packages. Which do include behind the wheel time. The silver package offers 1 hour additional driving, the gold package offers 2 hours of driving. These drives can also be logged as part of the 50 hours needed to take a road test and get your license. We also encourage students to continue logging hours of practice with their parent/guardian. Practice make perfect! I took Segment One through a different company, can I still take Segment 2 through All Star? You will need to bring those to your first class, along with the Segment 2 contract found under our forms section down below. What is a license issue date? This is the date that the Level One License (permit) was issued to you by the Secretary of State. This can be found at the very top of the permit. There will be a list of letters and numbers, the date will be the first 8 numbers in that sequence. What are the requirements for a student to enroll in a Segment Two course? Student must have held a valid Level 1 license for a minimum of 3 consecutive months. Student must have completed a minimum of 30 hours of driving time with a parent, legal guardian, or, with the permission of a parent or legal guardian, any licensed driver who is 21 years of age or older. Two of the 30 hours must be night driving. A student must possess a Level 1 license to drive a motor vehicle. Segment Two includes a three day class consisting of six (6) hours of Classroom Instruction. This is the second step for teens who wish to obtain a driver’s license before they turn 18 years old. Both Segment One and Segment Two classes are required by the State of Michigan in order to receive a driver’s license before a person turns 18 years old. Do you accommodate learning or physically disabled students? All Star strives to work with students of all learning and physical levels, however, there are certain limits to what we are able to do. For further information, please contact the main office at (734) 665-7374. Do you offer any discounts at this time? Typically, we do not offer discounts on segment 2 classes. We do not have any payment plans available for segment 2. To discuss payment arrangements, please contact our corporate office at (734) 665-7374. Photocopy of their Level One License (a Xeroxed copy is fine – All Star is required by the State of Michigan to keep this on file). Must be able to show a Drive Log to the instructor showing at least 30 hours of drive times, 2 of which should be at night. It is not necessary for parents to attend any days of Segment 2. They are more than welcome to sit in though. Due to the brief length of Segment 2, students are not allowed to miss any classroom sessions. If an emergency case arises you will be asked to retake the entire session at no extra charge, no exceptions! Do you have classroom numbers? Any class room numbers that have been pre-approved will be listed on the homepage of that school location. You can easily find your location by using our zip code locator on our website. I am over 18 years old. Can I still take Segment Two? What does the white certificate I received mean? This certificate is your Segment Two Completion Certificate. You will want to save this document! You will need it in order to take your road test. Does my Segment 2 completion certificate expire? The expiration date of your Segment 2 certificate is the student’s 18th birthday. This is the same for their Level One License. You have until that date to take a road test. Otherwise, your permit will need to be renewed at the Secretary of State. Help! I’ve lost my Segment Two certificate! What can I do? I received my Segment Two completion certificate but my name is spelled wrong/the birthdate is wrong. If I don’t attend that location, can I still take classes there? Yes, there are no restrictions that don’t allow students from other schools to attend classes at another facility. Can I schedule a road test at the same time that I schedule Segment 2? You can schedule a road test as soon as Segment 2 is complete and you’ve received your white Segment Two completion certificate. You will also need to make sure you’ve fulfilled all requirements. How long do I have to wait before I can schedule a road test? What’s the next step? You can schedule your road test when you have completed segment 2, have driven on your Level One License for 6 months or longer, and have completed 50 hours of supervised driving including 10 hours at night. I am 15 years old. Can I still take my road test? Yes, as long as you meet the requirements, you can still road test at 15. You will not be able to receive you driver’s license until you are 16 years old. You can visit the Secretary of State at that time. We never went down to the Secretary of State, and received the Graduated Level One License; can’t we just show the Segment One completion certificate in order to take Segment Two? Unfortunately no, you must have went to the Secretary of State, and received your Graduated Level One Learners License at least 3 consecutive months before starting Segment Two. If not, your son/daughter will not be allowed to take Segment Two until they have done so. The other requirement before taking Segment Two is that your son/daughter has completed at least 30 hours of behind the wheel instruction (remember that two of the hours of training must be at night). Please remember that it is very important you go to the Secretary of State immediately after receiving the Segment One completion certificate, so you can get your son/daughters Graduated Level One License as soon as possible. Not doing so, could delay your son/daughter in getting their license on time. What if I don’t pass my written test on the first try? Students are allowed three attempts at the final exam. If you don’t pass your first test you will have two more attempts. To schedule a make-up you can do so by contacting your instructor, or by calling the corporate office in Ann Arbor. NOTE: If you are local or willing to travel to Ann Arbor you can retest at our corporate office. However you must call ahead and arrive no later than 3:00pm. Can you email me my certificate instead? Unfortunately we cannot email you the certificate, as the state of Michigan requires you to have the original. Where can I take a road test? Rental vehicles are offered at some of our road testing sites for an additional fee. Please call our office to see if we have a rental vehicle in your area. Does a student have to be 16 years old to take a road test? Not necessarily. 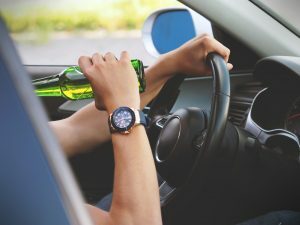 The student must have held their Level One License for a minimum of 6 months, have completed segment 2, and have logged at least 50 hours of driving, at least 10 hours at night, with a licensed adult over the age of 21 years. Students can road test once they meet all those requirements, however they cannot obtain their license at the SOS until they are 16 years of age. What training is required to be eligible for a road test? Must have driven and logged 50 hours of driving, with at least 10 at night, with a licensed adult driver over 21 years old. NOTE: No formal driver education is required for an adult (18 years or older), however, it may be a good idea to consult with a driving instructor before taking the Road Test. Appointments can be made online, or by calling our corporate office. You must have your Level One License or Temporary Instruction Permit and your payment ready with a Mastercard, Visa or Discover in front of you to schedule an appointment (we also accept pre-paid). If you have a foreign driver’s license, please have that, and your 1-cent receipt ready. What should I bring to the road test? Drive Log showing at least 50 hours of driving (10 of which should be at night). No additional persons are permitted to ride in the vehicle, except for a translator if needed. What if I don’t pass my road test? You must wait at least 24 hours before rescheduling the road test. We do not give refunds for failed road tests, nor do we dismiss the fee for a second road test. This includes documentation failures. What if I need to cancel or reschedule my road test? To cancel or reschedule a road test, you must contact our office at least 24 hours in advance. If you call after hours, then you will need to leave a voicemail with your name, phone number, and brief reason for your call within the 24 hour grace period, as the voicemail will provide the date and time of your call. If you do not show up for your road test, or do not contact our office 24 hours in advance, you will forfeit the fee for the road test, and have to pay again in full for another test. You may also email us at least 24 hours in advance for a cancellation as well. Can I use a backup camera during the test? Backup cameras are permitted during the road tests. Can I practice at the road test site? How long does the road test last? Approximately one hour, however it can vary slightly at each location. Is there a limit to how many times a person may take the road test? What if I am running late for my road test appointment? What happens if I don’t bring all required items to my road test? Failure to bring all of the required documents (listed above) will result in a failed road test. No refunds will be issued. If you are under the age of 18, but did not bring a parent or legal guardian to the road test, you will be turned away and no refund will be issued. If it is raining or snowing, do I still have to take my test? Yes. If you feel that you will not be able to take your test, you must notify our office at least 24 hours in advance as stated above to cancel or reschedule a test. In the event that the weather has provided an unsafe condition to conduct road tests for that day, the road test examiner or our corporate office staff will contact you. If I have an interlock device on my vehicle, can I still take a road test? What if I lose my road test certificate? For a reissue of a road test certificate there is a $30.00 fee. To pay for a road test certificate you can do so by calling or visiting our corporate office. Once we receive payment, we can set up hot to get your new certificate (it can be mailed or you can meet up with the examiner). No we do not offer discounts on road tests. Do you offer private driving lessons for adults? We offer private driving instruction for adults. If you are an adult and are interested in our private driving lessons, you must have first gone to your local Secretary of State to acquire either your Michigan Temporary Permit or 1 Cent Receipt (foreign students only), before we would be able to instruct you. For further information, please contact our office at (734) 665-7374. Do you offer private driving lessons for teens? We offer private driving instruction for teens. Teens must have completed Segment One and have received their Graduated Level One License in order to take further driving lessons. For further information, please contact the office at (734) 665-7374. Can I register online for Private Lessons? Due to the amount of registrations we get on a daily basis, you will need to contact our office directly to register, as we have to submit your contact information to an instructor near you. Wait times vary based on season and location, to get the wait time in your location please call our corporate office. Do they do pick up and drop off from home? We do pick up and drop off from home as long as you are within 25 miles from an area we service. If you are outside of the 25 mile radius you will have a half way point to meet the instructor. To find out more please call our corporate office. We accept Visa, Discover, and MasterCard, and you would need to call or come to our corporate office to register. If you wish to pay with cash, check, or money order you would need to mail, or come into our corporate office at: 75 Aprill Dr. Ann Arbor, MI, 48103. Make sure to include your name, best contact number, alternate contact number/email, and any other details you would like so that we can register once we receive your payment. If you do not have one of those cards available to you, we also accept pre-paid Visa, Discover, and MasterCard’s. Do I get a certificate for completing private lessons? No as they are not required by the state, we can always provide you a letter stating what you completed with us, and how you preformed. We are able to refund as long as you have not begun any of the drives. If you purchase a package and begin driving, we cannot refund you for any extra drives you feel you no longer need. NOTE: All refunds are subject to a $5.00 processing fee. Once requested, it can take 7-10 business days to be processed back to the card used to make the payment. If your card used for payment has been replaced, lost, or stolen you will need to let us know at the time of requesting your refund. We CANNOT send a refund to someone other than the person who made the payment. What if I would like to add more hours? You can do this by calling the corporate office. You will not be able to schedule additional drives until we have a payment. Do you offer any packages with road tests and a car rental? We do offer a package that offers 5 hours of private lessons, with a road test and car rental. This is only available at our Ann Arbor, Benton Harbor, or Niles locations. For more information on this package, please call our corporate office. Are there discounts for private lessons? No we don’t offer discounts on private lessons.